He aims to become number one Go amateur of Japan. “I won my way through the competition smoothly. Even I myself was surprised that I got to the final. Maybe I could make it in the final too, I thought, but I did not stand a chance against the opponent and was completely crushed. However, I could defeat many formidable players. Also, I guess my skill improved since then.” He turned the experience from that competition into self-confidence for challenging the coming one. 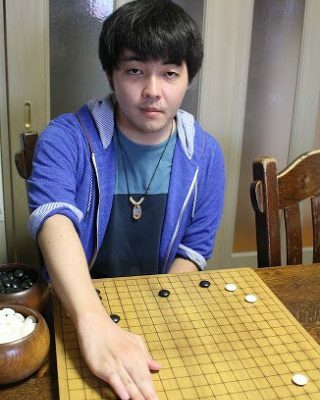 His watching the anime “Hikaru no Go” when he was a fourth grader led him to begin playing Go. He and his older siblings went to Mishima Go Classroom every Saturday. He persisted with Go even after they had stopped playing. Then, in his second year of Numazu Junior High School, he finished sixth of Japan in the junior high division of the Youth Go Competition. Every time he gains knowledge about various ways to play and think, he can feel the interesting aspects of Go. 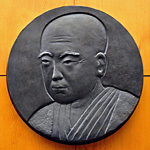 “When I get to know thoughts that never occurred to me, the differences in people’s judging which side fared better regarding the same board position, etc., I was forced to acknowledge that my “normal” isn’t normal after all.” Yet he says, “But in the end I believe my own judgment and thoughts, and I play accordingly.” He believes in himself because he aims to be a pro. Born in 1992 in Numazu city. Played four games with Honingo Mon’yu (aged 28) a.k.a. “Six Crowns” Iyama Yuta. He says, “I could feel his aura.” He won only one of them when he got three handicap stones. His hobby is tennis.